(MoneyWatch) Apple (AAPL) has cut its iPhone 5 parts order, according to a Wall Street Journal report. The reason is lower demand than the company had expected, with some sources reporting cut-backs that were half of previous projections. The report, if correct, would suggest that Android phones and Samsung have had a greater negative impact on Apple's business than has been seen before. Given the furiously tight control that Apple exerts over every detail of its strategy and operations, as well as famously punitive non-disclosure agreements for its business partners, it could be that the story is a way for the company to indirectly set expectations for its earnings announcement later this month. Apple earnings fall short: Has the company topped out? The reports of lowered iPhone 5 demand come at a time when Samsung announced that it has sold 100 million of its Galaxy phones since introducing them in 2010. The Galaxy S III saw unit sales of 20 million in just 100 days. One of the main tools of investor relations professionals is setting expectations without spooking the markets. Some companies do so with traditional press releases. 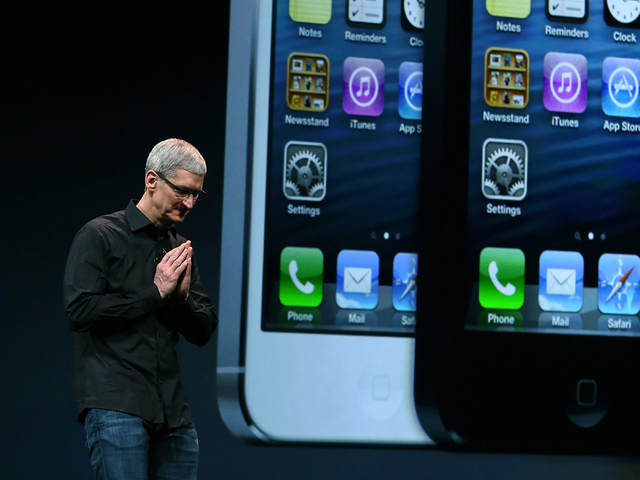 Apple has often used intentional press leaks to manage coverage and throw off competition. This particular story comes out just weeks before Apple is scheduled to announce its earnings for last quarter. Significantly reduced iPhone sales would have a heavy impact on Apple's finances. Although far from the only product line, the iPhone is the main driver of profits, as it has higher average margins then the iPad, even though it is less expensive and many more iPhones have sold than iPads. In its previously reported quarter that ended in September 2012 (the end of the company's 2012 fiscal year), Apple fell short of expectations, with iPhone sales only increasing from the quarter before because of the introduction of the iPhone 5. If iPhone 5 sales are lagging behind where expected, it could be that sales of the product line dropped, which would mean a significant impact on Apple's overall revenue as well as profits. Whether the report is leaked or not, markets will take seriously the potential of lower performance and reset their expectations, which means less backlash should Apple not do as well as had previously been expected.